We just released a new V59 firmware for Tribunus II 06-120A ESC SBEC. Please update your Sproto to the latest version and install the new firmware. Changed log: Bug fixed Increase the current protection. Posted in Announcement, Technical	| Comments Off on The new firmware V59 for Scorpion Tribunus II 06-120 ESC SBEC just released. 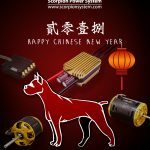 Scorpion Tribunus ESC latest firmware V58 is released to support Vbar v3 protocol!! Posted in Announcement	| Comments Off on Scorpion Tribunus ESC latest firmware V58 is released to support Vbar v3 protocol!! Scorpion Tribunus ESC latest firmware V57 is released!! Posted in Announcement	| Comments Off on Scorpion Tribunus ESC latest firmware V57 is released!! A new Scorpion Distributor in United State of America for all Scorpion products. We are pleased to announce MikadoUSA is our new distributor in United State of America for all Scorpion products. Congratulations to our new distributor !!! Posted in Announcement	| Comments Off on A new Scorpion Distributor in United State of America for all Scorpion products. A new Scorpion Helicopter and Airplane Dealer for United Kingdom. We are pleased to announce Midland Helicopters is our new distributor in United Kingdom for all the helicopter and airplane related products. Congratulations to our new distributor !!! Posted in Announcement	| Comments Off on A new Scorpion Helicopter and Airplane Dealer for United Kingdom. Scorpion Tribunus ESC latest firmware V54 is released!! Posted in Announcement	| Comments Off on Scorpion Tribunus ESC latest firmware V54 is released!! Happy Chinese New Year 2018!!! This year is Chinese Year of Dog , we wish everyone all the best and a happy Chinese New Year!!! More Galleries | Comments Off on Happy Chinese New Year 2018!!! We wish all the Scorpion fans have a Merry Christmas and Happy New Year!!! Posted in Announcement	| Comments Off on Merry Christmas and Happy New Year!!! Scorpion Tribunus ESC latest firmware V53 is released!! Posted in Announcement	| Comments Off on Scorpion Tribunus ESC latest firmware V53 is released! !